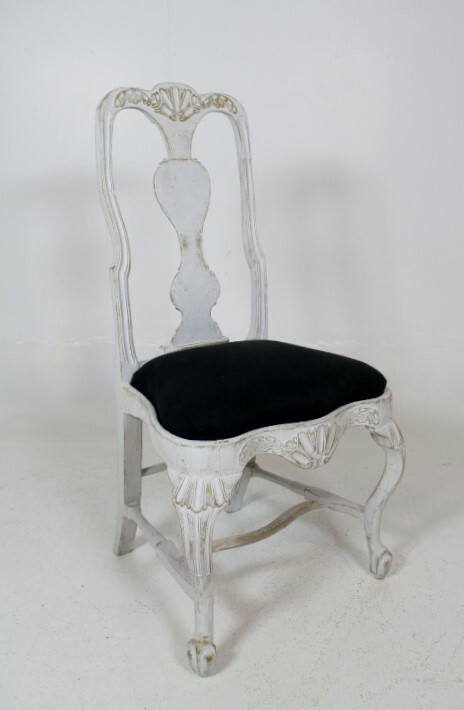 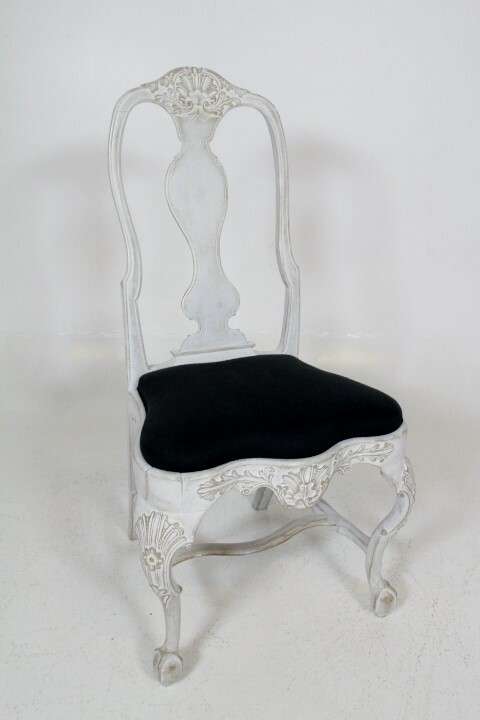 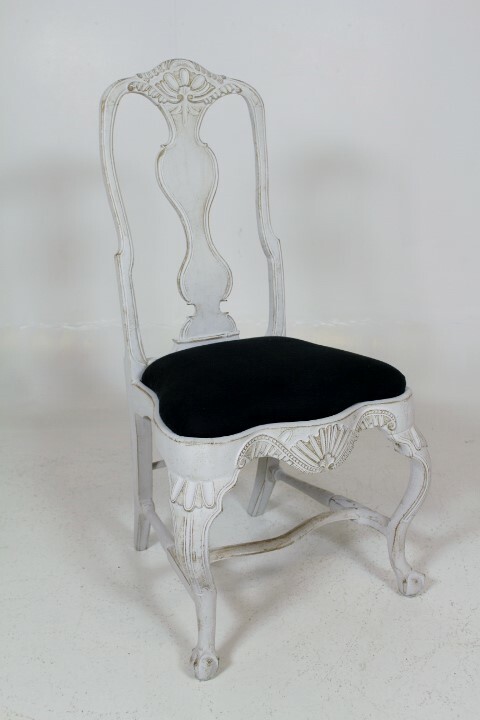 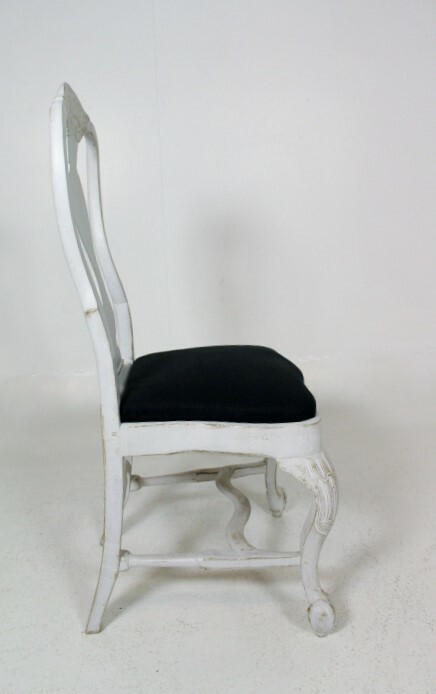 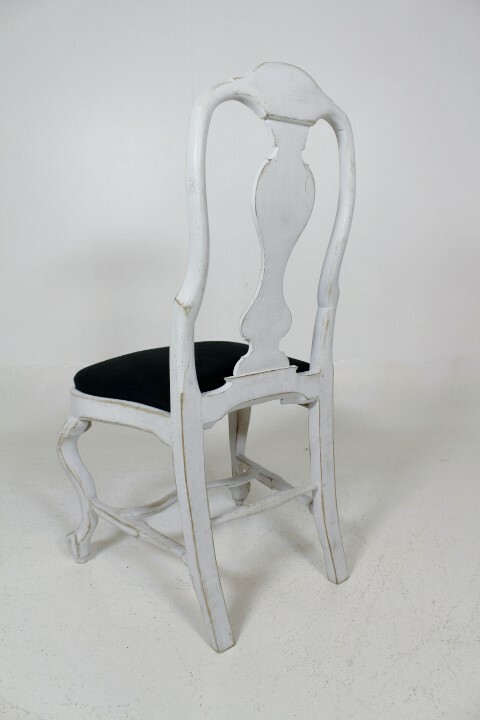 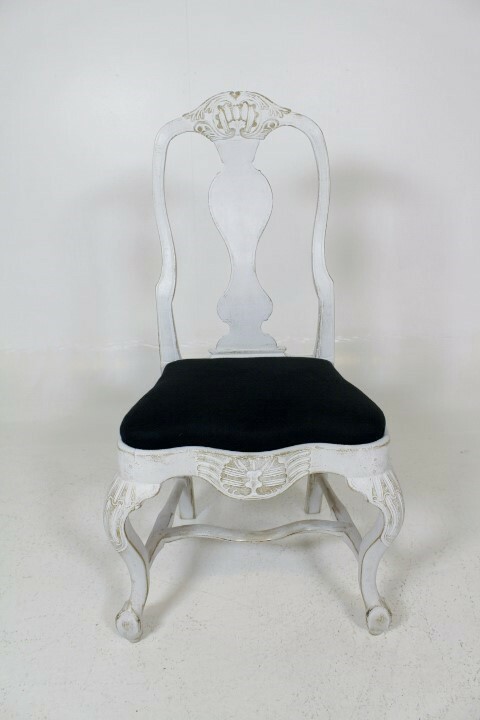 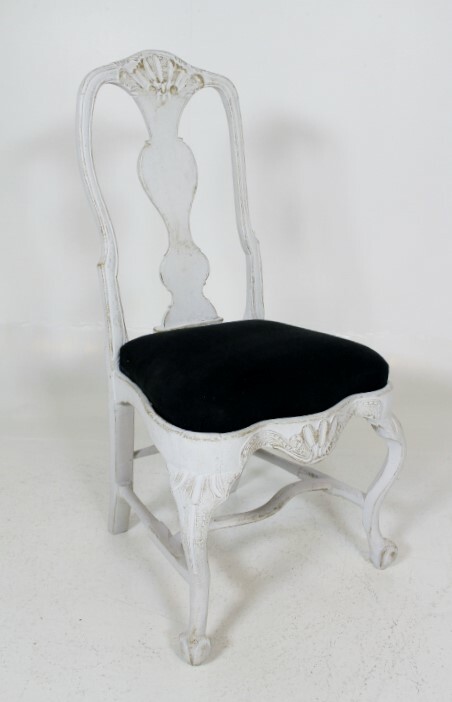 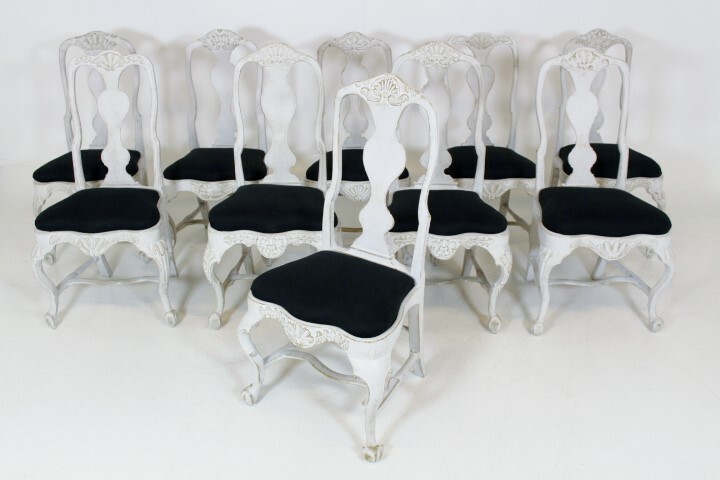 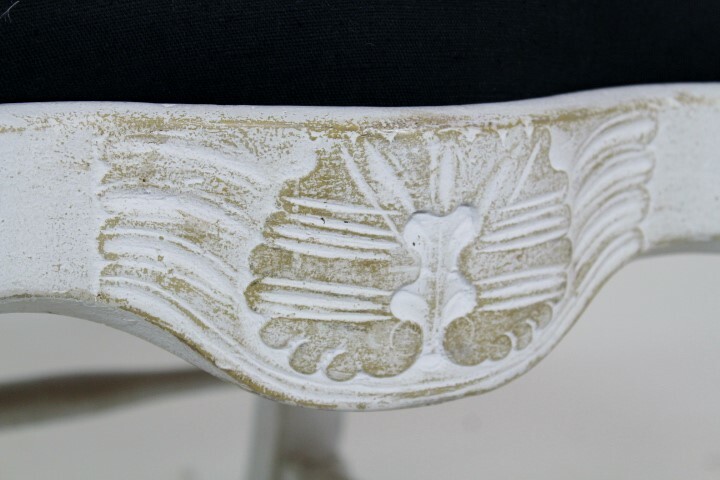 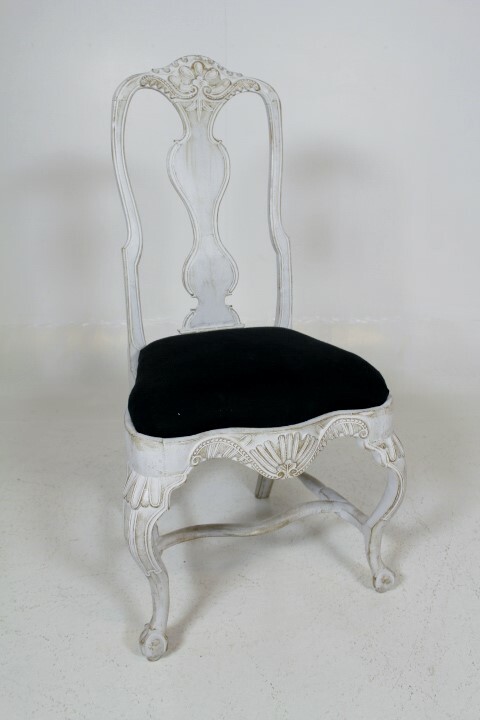 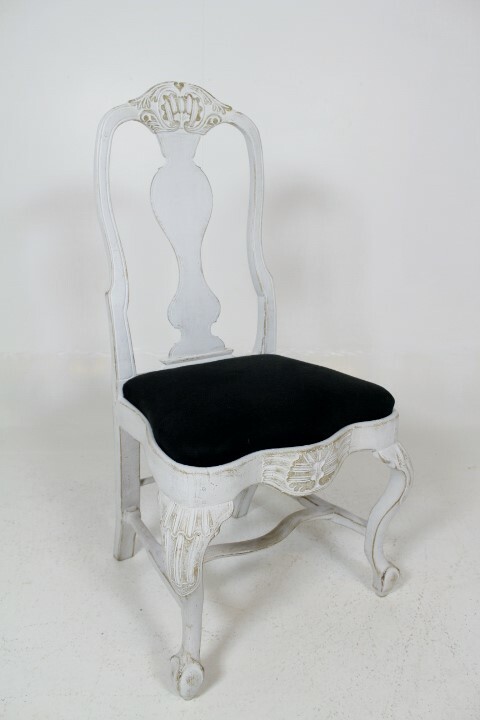 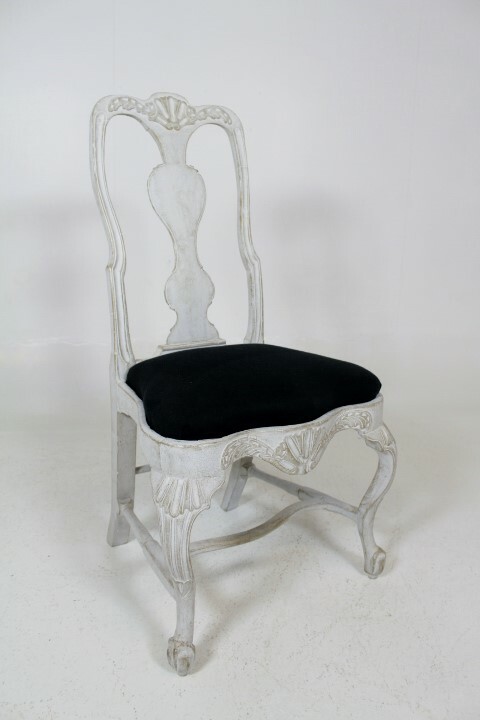 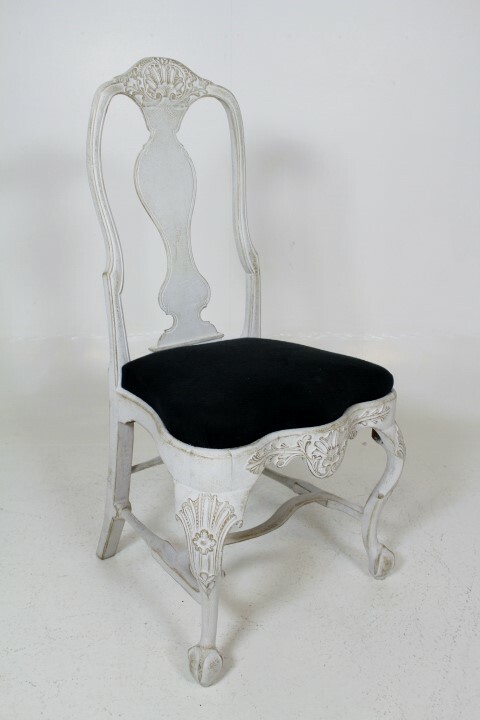 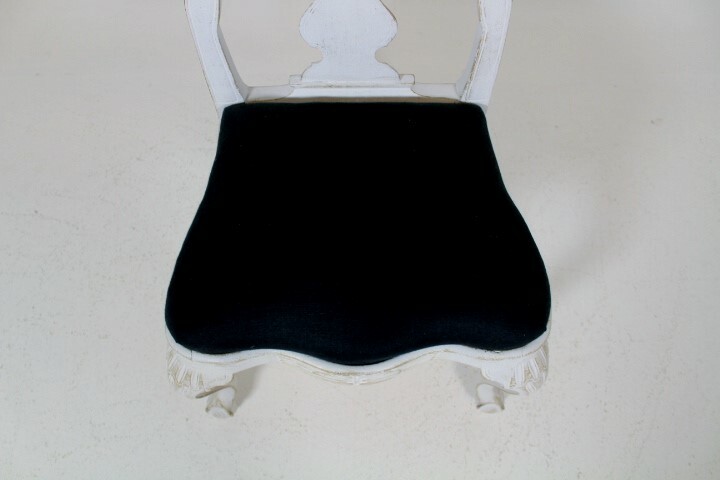 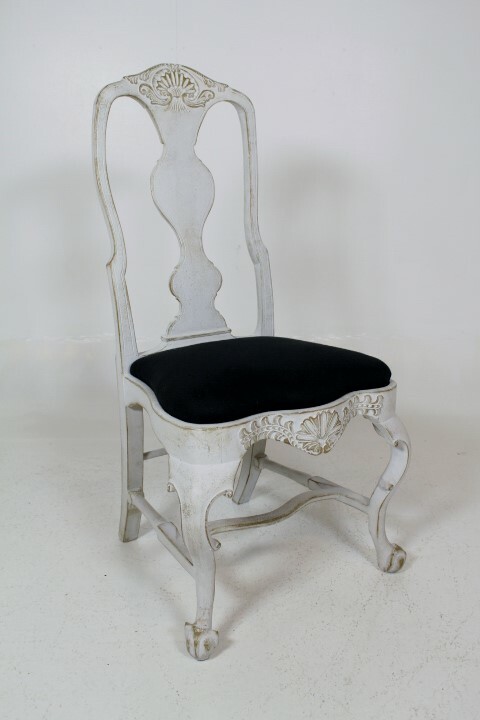 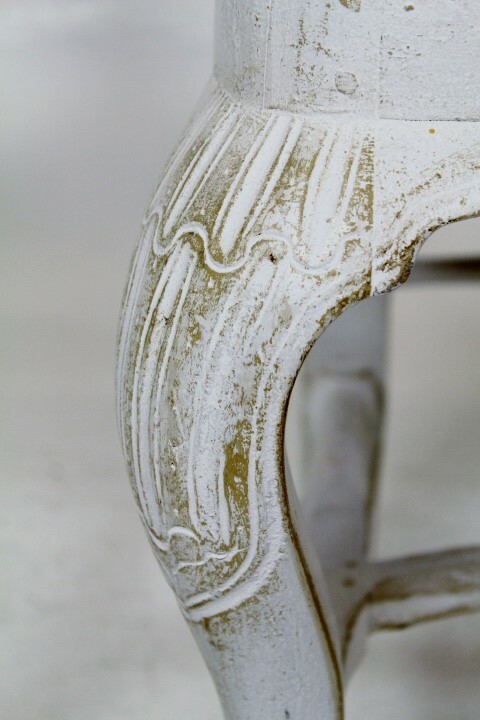 Description: 10 similar West Swedish Rococo chairs. 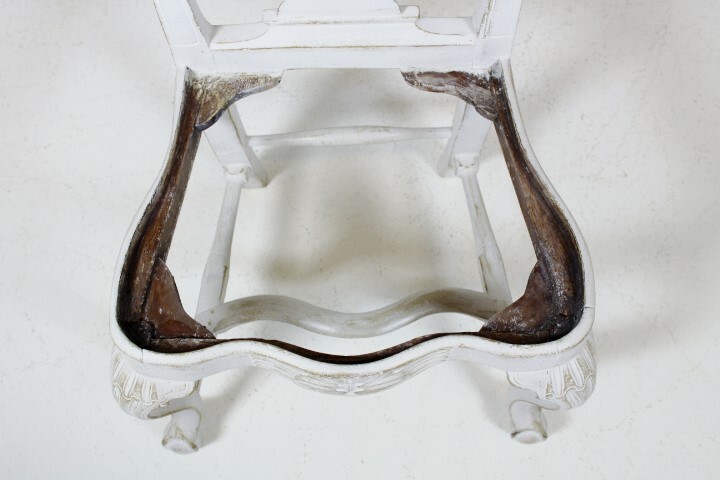 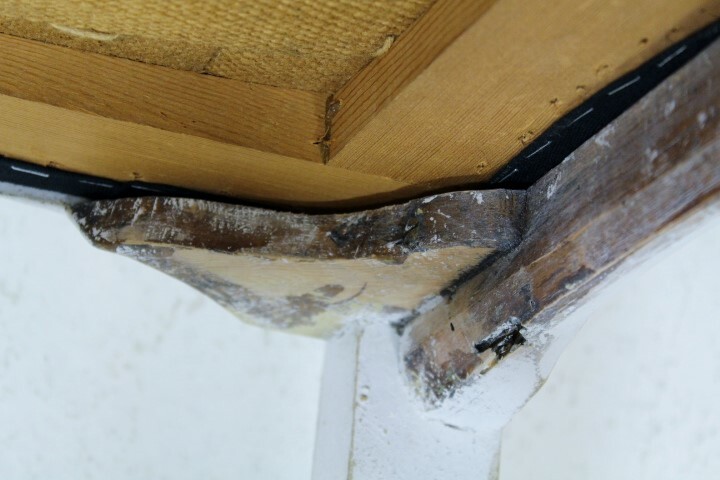 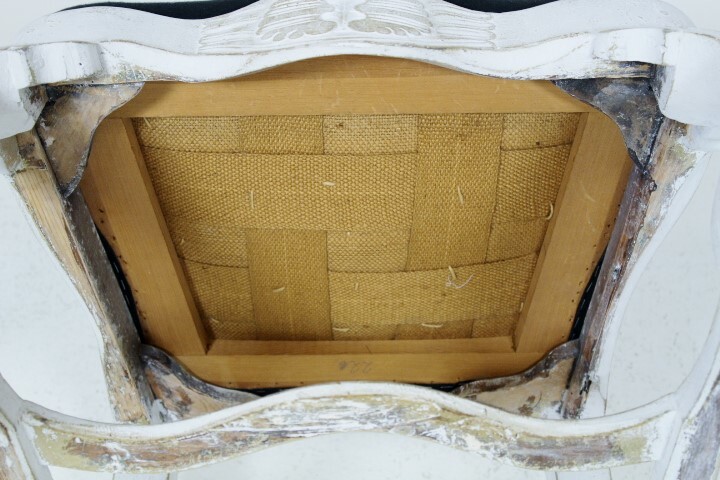 Open back with baluster tray. 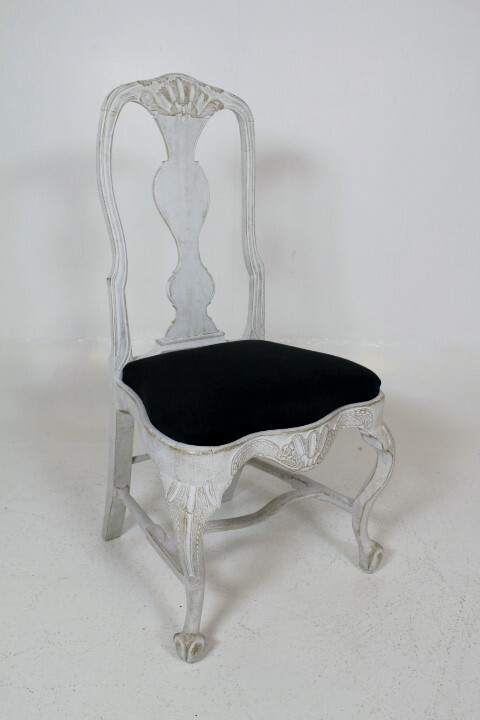 Loos seat. 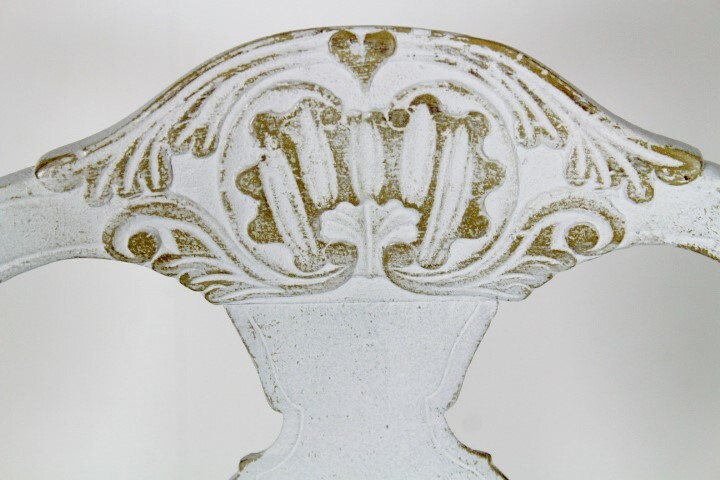 Carved decor of rocaille and leaf formations. 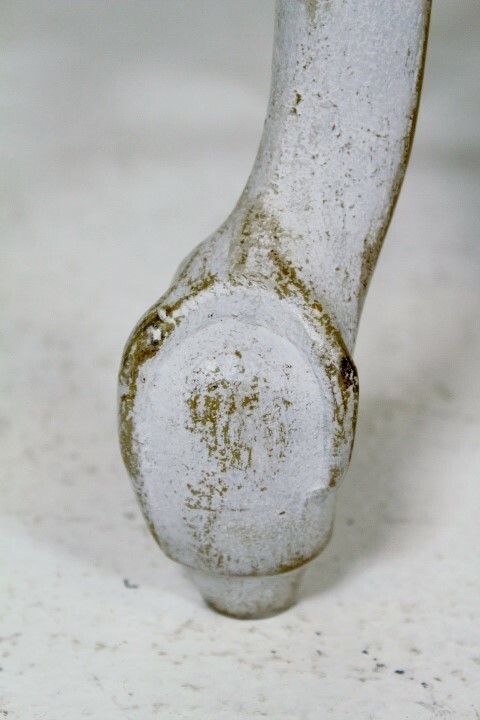 Ball and claw feet.